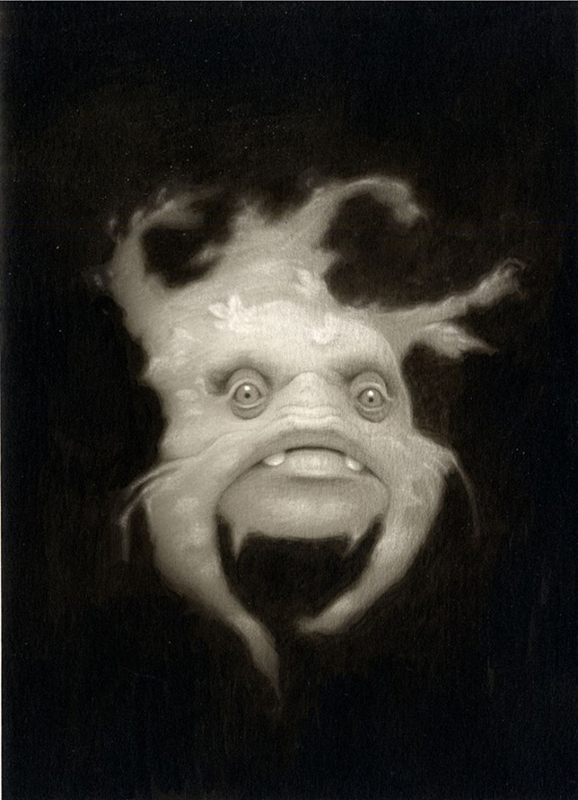 Travis Louie’s Seaweed Pod is an organism discovered in the Sargasso Sea in 1928. At first, the bioluminescence of these small creatures was thought to be a lure to catch prey. On close inspection it was revealed to be a defensive weapon. These 5 inch diameter floaters can generate an electrical charge, firing a spark even underwater when in danger. Catch a rare glimpse of the Seaweed Pod, or take him home when Circus Posterus’ Traveling Circus comes to Rotofugi in Chicago this Saturday.